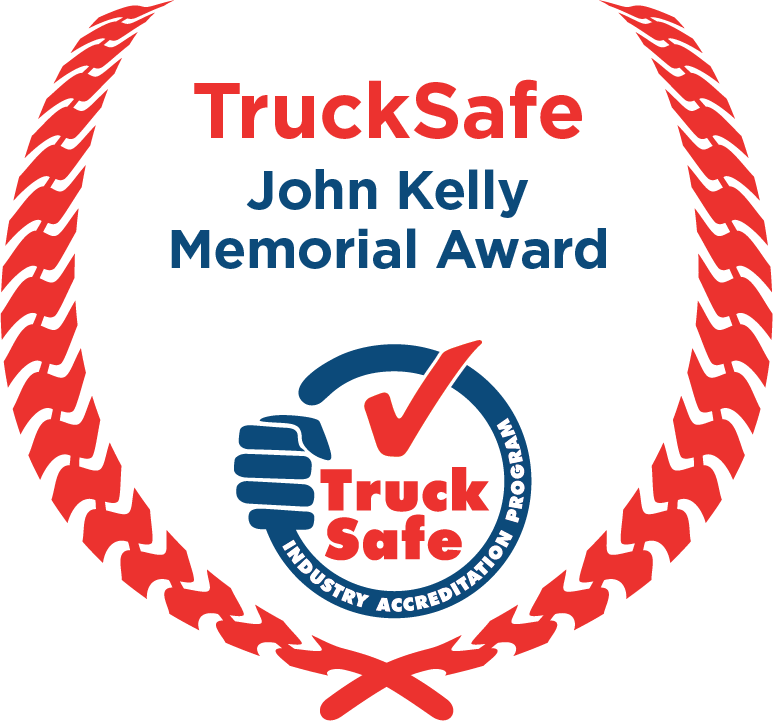 The TruckSafe John Kelly Memorial Award recognises a TruckSafe accredited operator that has implemented and promoted the program in an exceptional fashion. This operator fosters a strong culture of safety in every part of their business. TruckSafe is the Australian Trucking Association’s business and risk management system, aimed at improving the safety and professionalism of trucking operators nationwide. Demonstrate a reputation for integrity and ethical behaviour in trucking. The operator must authorise the TruckSafe Industry Accreditation Council to seek other information that will assist in the judging process. A trophy, media publicity and accolades from the many industry representatives attending the ATA Foundation Sponsors Gala Dinner, where the winner is announced. The award is named in honour of the late John Kelly. John was a passionate safety advocate in the truck insurance field. John was involved in developing TruckSafe as the industry owned safety and business risk accreditation system. The success of TruckSafe today can be sheeted home to the passion and drive of John Kelly. John also worked to develop Fatigue Management programs for the road freight industry, and he implemented important driver training programs. Want more info on the award? Contact the manager of TruckSafe, Justin Fleming.